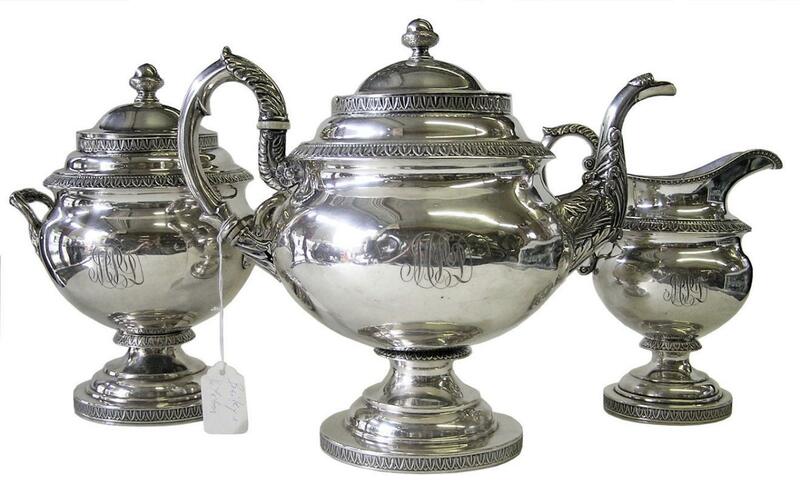 This is an exceptional silver tea service by Bailey & Kitchen of Philadelphia, circa 1840. 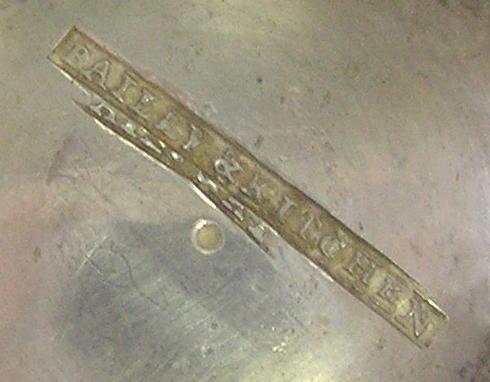 This firm operated from 1833 to 1846 when it became Bailey & Co. 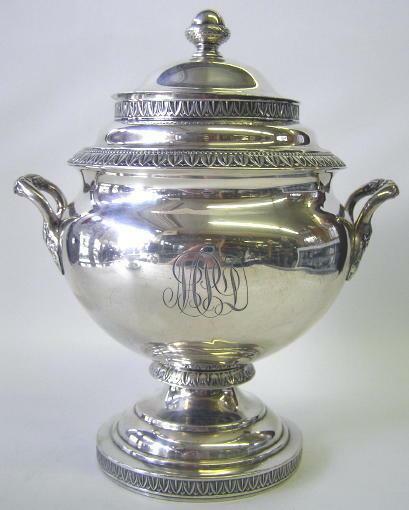 In 1878 it became known as Bailey, Banks & Biddle. 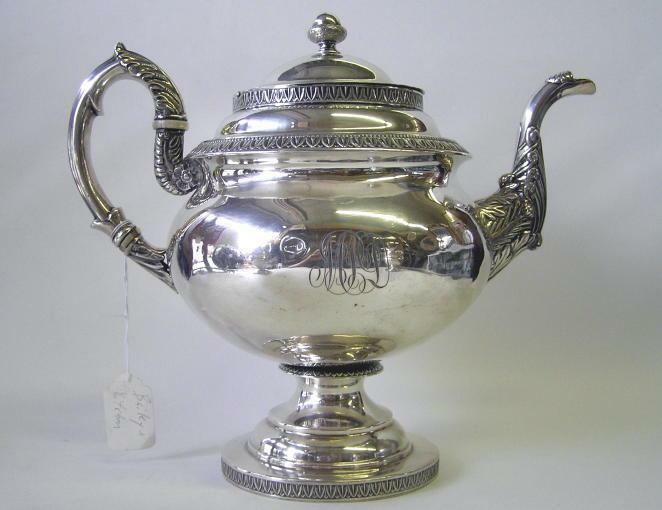 Tea pot measures 9 3/4 x 11 x 6 1/2 inches. 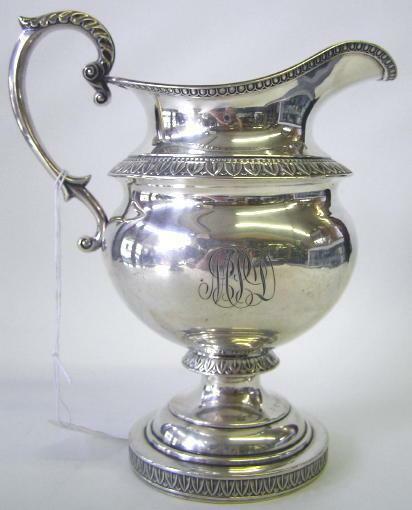 Creamer measures 9 x 7 x 5 1/2 inches and covered sugar or waste bowl measures 7 5/8 x 6 x 4 inches. Total weight of the set is 5.85 lbs., 93.6 ounces or 85.3 troy ounces. Overall condition is excellent. 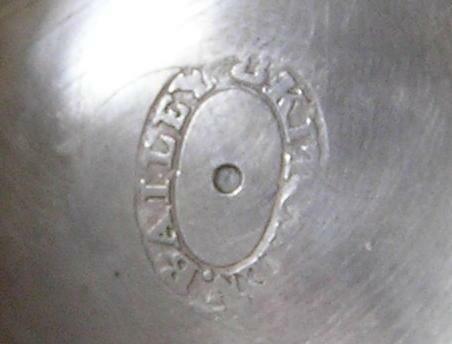 However, there are a few dimples noticeable on the sides of the pot and covered bowl. Thanks for visiting. Please let us know if you have any questions or comments. 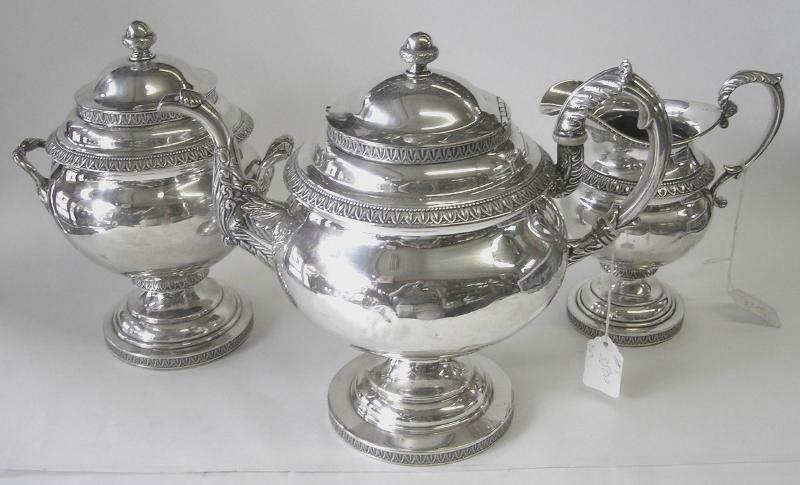 Items Similar To "Antique Bailey & Kitchen Silver Tea Set Circa 1840"